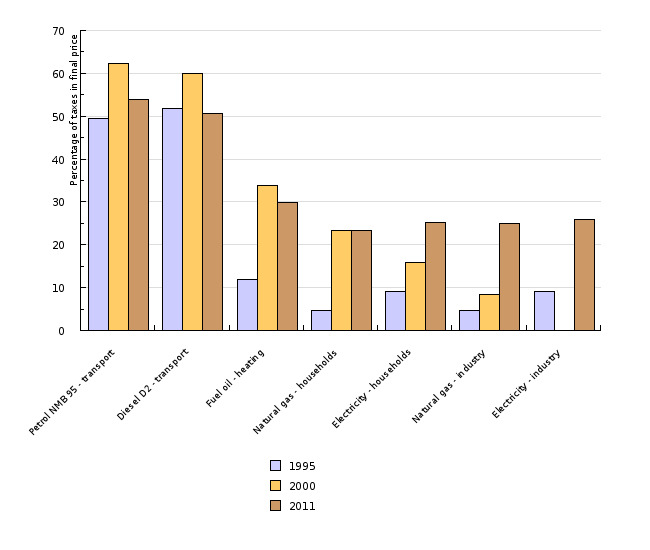 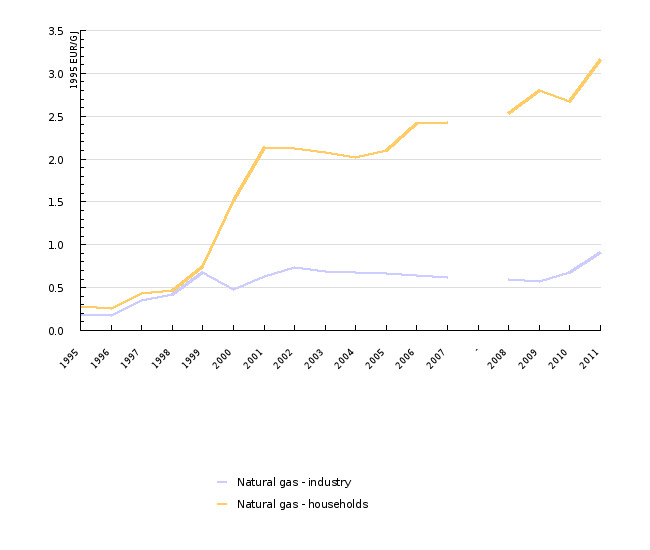 In recent years, energy taxes increased mainly due to higher excise duties and taxes. 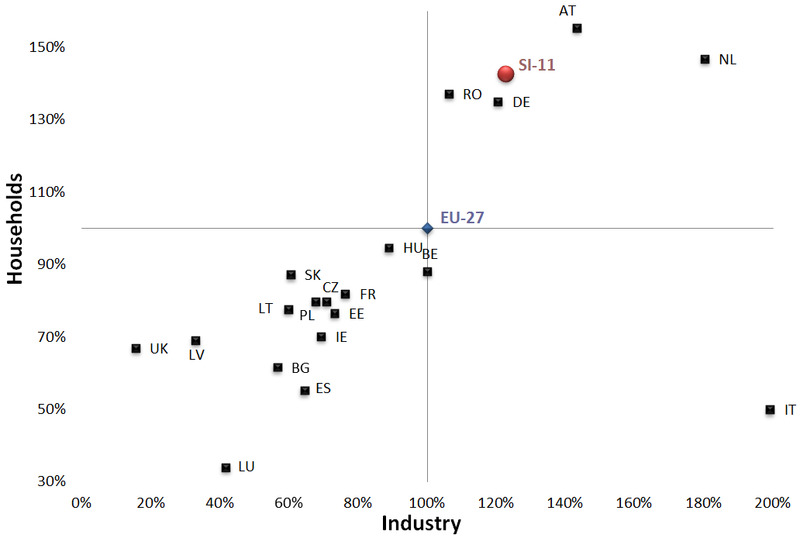 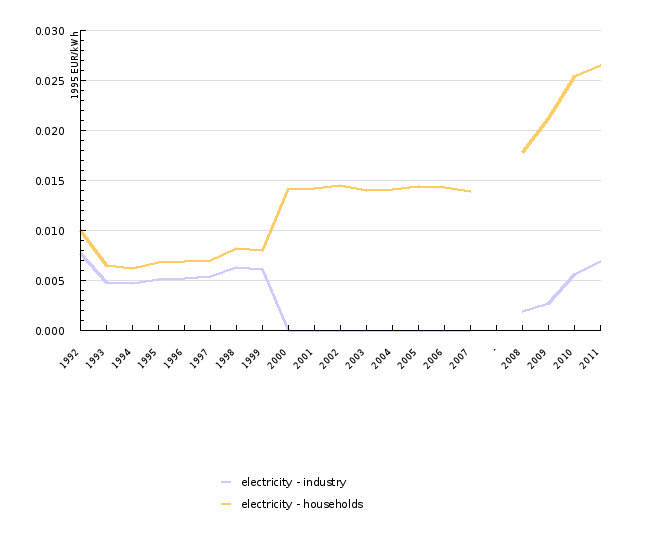 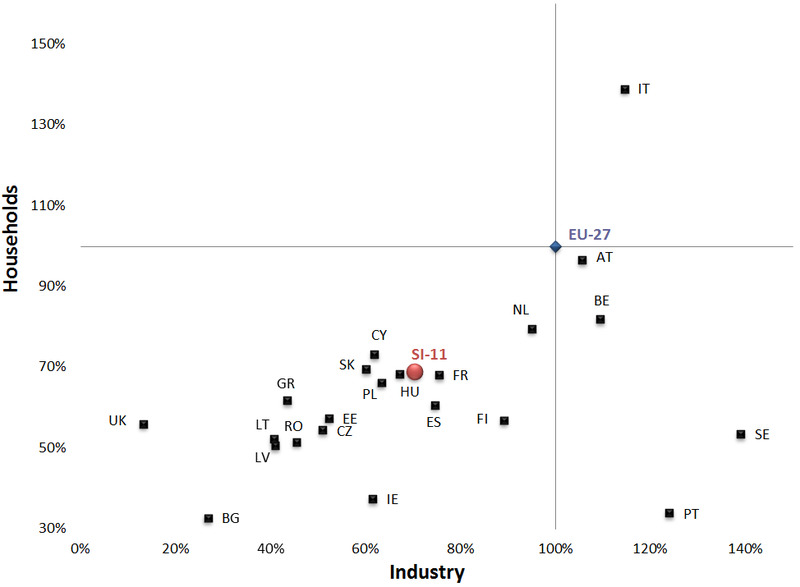 Share of tax in price of energy in industry has reached the same level as in price for households. 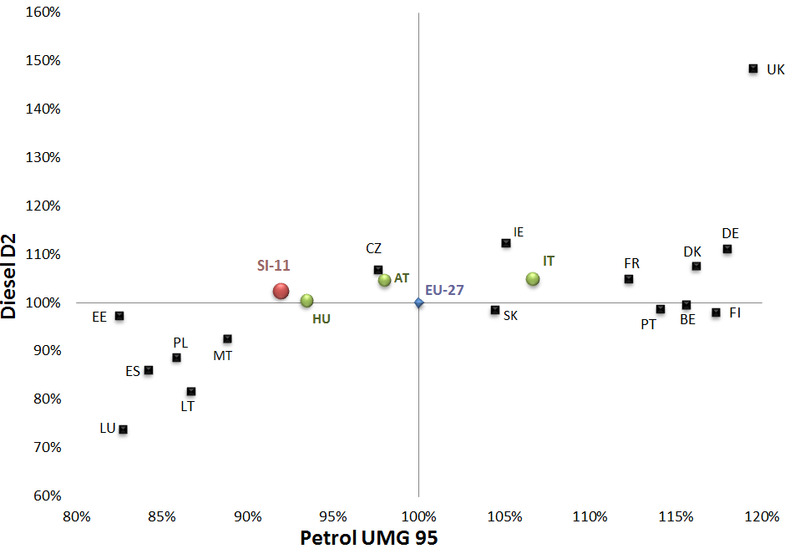 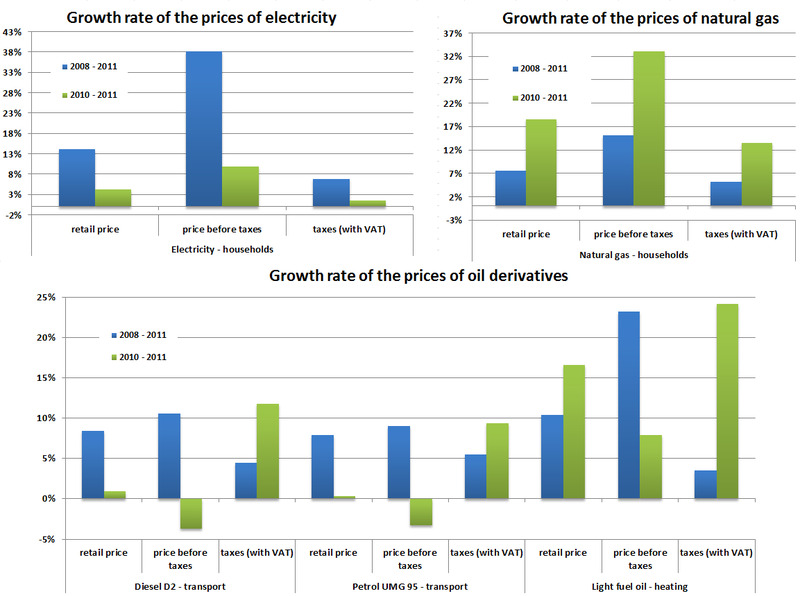 In Slovenia taxes for transport fuels and natural gas in 2011 were higher than the average for EU27, while for electricity they were lower. 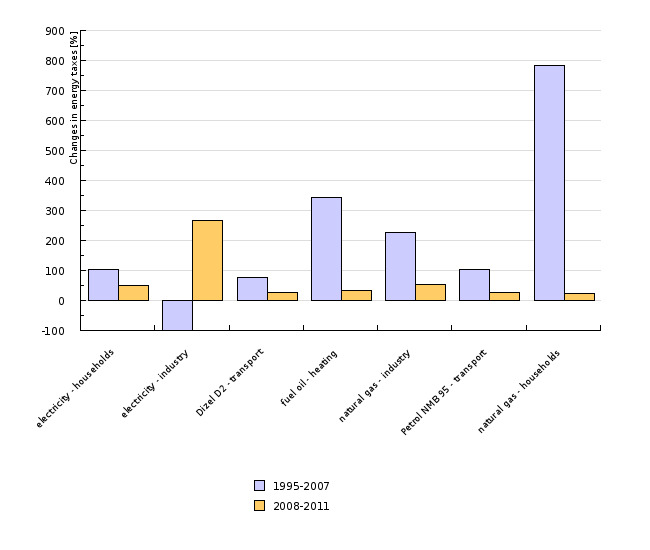 Statistical Office of the RS, 2012. 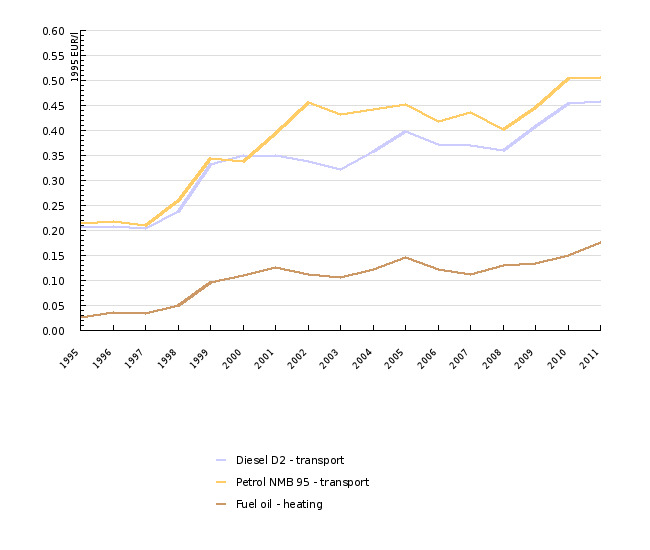 Eurostat, 2012; Oil Buletin, 2012.